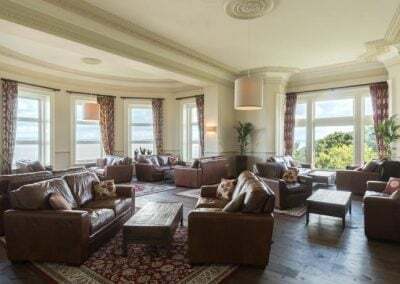 The Halflight Trio returned to Walton Park Hotel in Clevedon on Saturday 4th March for Charlee and James’ wedding, and I realised we never did blog about this venue the first time we played there. 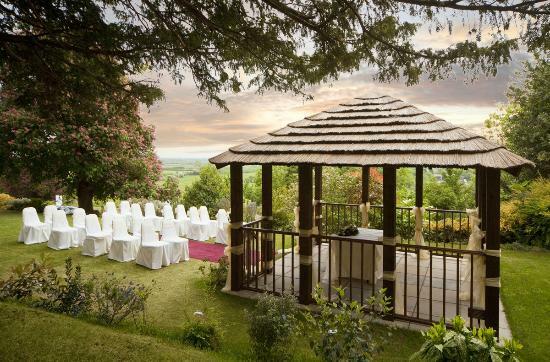 It struck me that it’s actually a very nice hotel and makes for a great wedding venue. The room we have played in has us setting up in the huge bay window directly overlooking the sea, which is amazing. Pictures don’t really do it justice – particularly the sense of almost vertigo you get as you approach the windows – all you can see is water, and the horizon. It’s a really lovely room. Good acoustics, too! The hotel doesn’t have the same feel as many stately homes do – it doesn’t feel so ostentatious, yet it’s decor is stylish and elegant. Somehow it feels cosier and more relaxed than many of the grand houses we play at. You don’t feel as though you might break something accidentally any minute! The main room has a large area for dancing and extends along the length of the building for dining, with bars at either end. 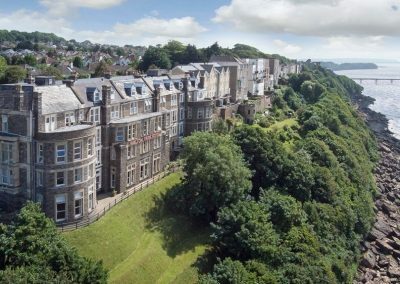 We can’t vouch for the accommodation, but the pictures on their website certainly look plush. 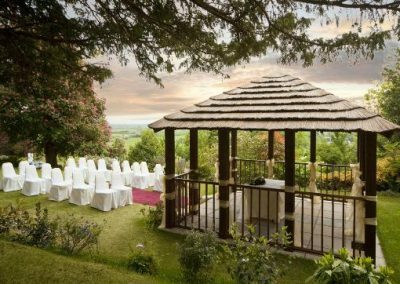 The garden has a gazebo structure which is perfect for outdoor summer ceremonies, and this also overlooks the sea/Severn. 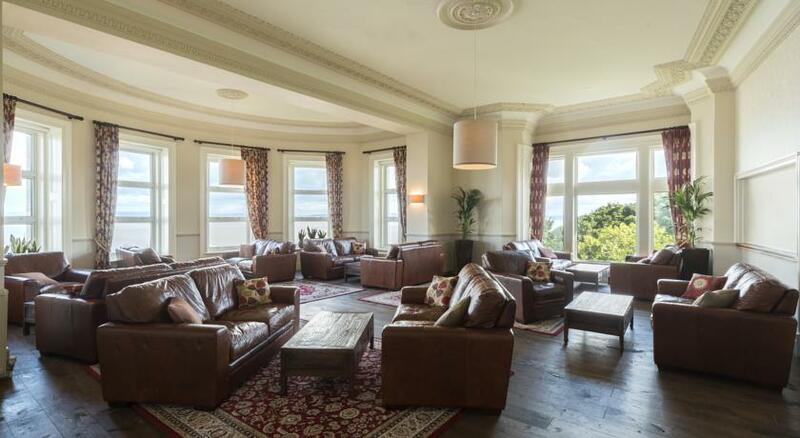 Overall, we liked Walton Park Hotel a lot. Worth checking out if you’re venue hunting.